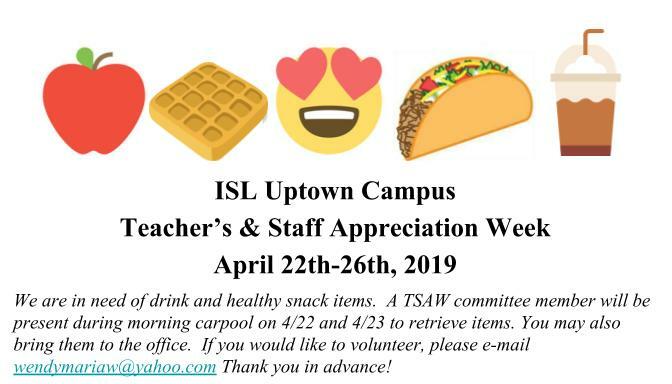 Our ISL Campus Community page will provide families with links to your Campus Tid Bits (Weekly Newsletter), Special Uptown Campus Announcements, and Campus Activities. On this page, you can stay connected to your Uptown Campus updates from your Family Liaison and Campus Principal. The lost and found is emptied the last Friday of every month. April 12 Dismissal is at 4 pm. No after-school care or activities. Important messages and alerts are sent to the primary email and phone number provided by the parent at the beginning of the school year. For uninterrupted communication, please make sure to update any changes by clicking here to fill out the Update Contact Form. To join the ISL Uptown Campus Facebook Group, please click here. This is a closed group. Thus, you will need to answer a couple of questions before approval. Would you like to take part in making a difference at our campus? You may want to head one of our volunteer groups or simply be part of a group. Family Involvement Plan- The International School of Louisiana receives Title I, Part A funds and is required to develop with and distribute to parents a parental involvement policy & plan that contains the information required by section 1118(a)(2) of the Elementary and Secondary Education Act (ESEA). 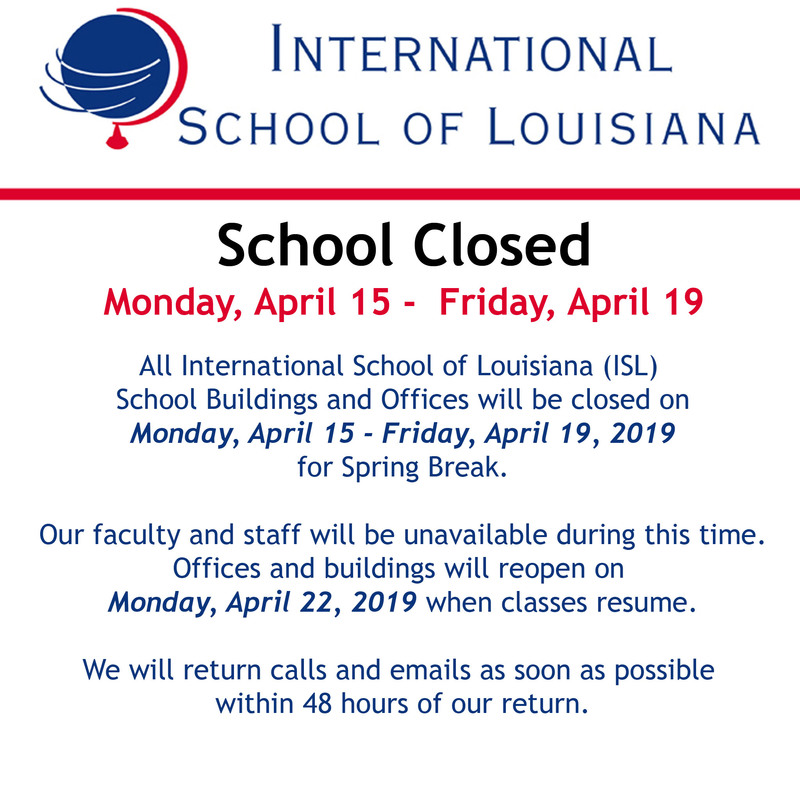 The policy establishes the International School of Louisiana’s expectations for parental involvement and describes how the LEA will implement a number of specific parental involvement activities, and is incorporated into the school improvement plans (SIP) and handbooks of each school that is submitted to the State Educational Agency (SEA) annually. The International School of Louisiana’s goal is to support effective parental involvement and to strengthen student academic achievement.